Women’s groups have castigated remarks made by a Johane Marange Apostolic Sect leader, who warned President Emmerson Mnangagwa not to involve a woman in his leadership if he wants to consolidate his reign, saying the utterances are clear indication that the country is still languishing in a patriarchal society. During Mnangagwa’s visit to Johane Marange for the passover feast last weekend, Apostle Abel Chimbadzo took a swipe at former First Lady, Grace Mugabe accusing her of leading Robert Mugabe astray during his last days in office. Chimbodza said Mugabe should not have fallen into Grace’s trap and warned Mnangagwa not to involve a woman in his leadership as he would suffer the same fate that befell his predecessor. “There was a leader who once came here. I have forgotten his name but I will call him Samson. He came with his wife whose name I have forgotten as well but I will call her Delilah. “Samson, when he sat here, he was ordained to be a leader, he was given garment and a holy staff (rod). When he went back to his land, he gave the staff to his wife Delilah. He surrendered his power to the woman. “As a clever woman, she knew there was power in the staff and she took it during the night and the husband looked for it in the morning but couldn’t find it,” said Chimbadzo. 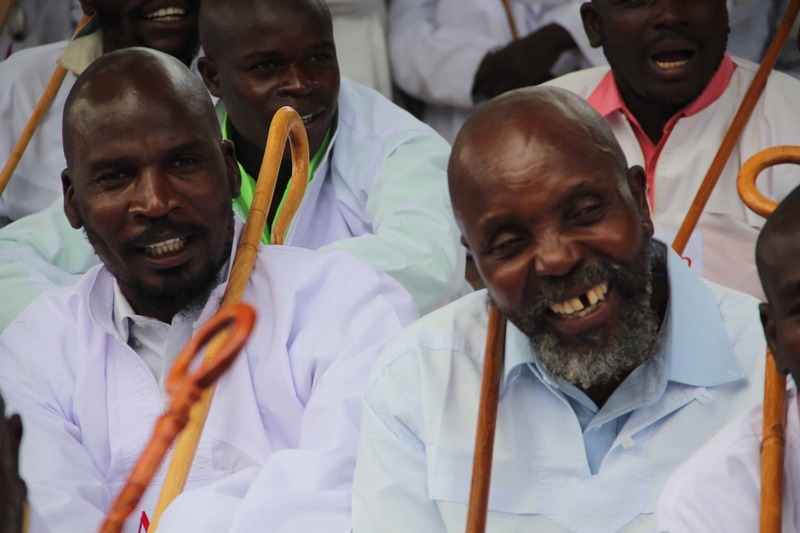 However, Chimbodza’s utterances have attracted the ire of women groups who accused the church of living in the past. Human rights lawyer and African Union Goodwill Ambassador for the Campaign to End Child Marriage, Nyaradzayi Gumbonzvanda described the utterances as backward and an affront to the participation of women in political governance. “By limiting the potential that women have in socio-economic and political spheres, it means we are not harnessing cultivating the potential they have if they take certain roles. if you check how the Croatian President took her country to the global scale, you could tell it is just normal for women to be leaders and its part of that country harnessing its potential in women. “I found the sentiments to be backward, they are not taking us forward as a nation…we should be conscious of the things we say about women,. There need to be things that motivate them to push for a better future for themselves,” she noted. The Johane Marange Apostolic is commonly known for promoting child marriages with girls as young as 12 years old being married off to older men and in most cases forced into polygamous marriages. According to the Zimbabwe Gender Commission (ZGC), the remarks by the Johane Marange sect portray a negative attitude towards women. “Statement confirms patriarchal stereotypes and this is what the ZGC us fighting on a daily basis. While the constitution guarantees gender equality these are some of the negative attitudes against women,” said Margaret Sangarwe Mukahanana, ZGC Chairperson. Tag a Life International (TaLI) founding Director, Nyaradzo Mashayamombe called on Mnangagwa to apologize and set the record straight on the rights of women and gender equality in this country. “Moving forward we reiterate you owe us an apology to set the record straight Mr President about the rights of women to equality in this country, I want leaders who promote women and girls rights just like they promote all human rights! I want leaders who do not compromise themselves but stand upright for human rights. You owe us an apology Mr President,” said Mashayamombe. At a recent workshop in Harare, Zimbabwe Peace Project National Director, Jestina Mukoko cited intimidation from both political parties and community as the major inhibiting factor to the participation of women in politics. “The representation is too low and this is because women get the worst of it in terms of threats and intimidation. Of concern also is the fact that women were being thrust against each other and that has widened the gender disparity that already exists. Women avoid being harassed by staying away, ” she said. Many female politicians complain of a hostile and prejudiced environment in which abuse is rampant. Only one in ten Zanu PF candidates and around one in seven opposition candidates are female candidates contesting the July 30 plebiscite. Women are also notably absent from the top ranks of both parties. At another workshop in Bindura last week, women bemoaned the fact that they remain camped outside the levers of political power despite promises of inclusivity and gender balance in all social and economic spheres by the ‘New Dispensation’.